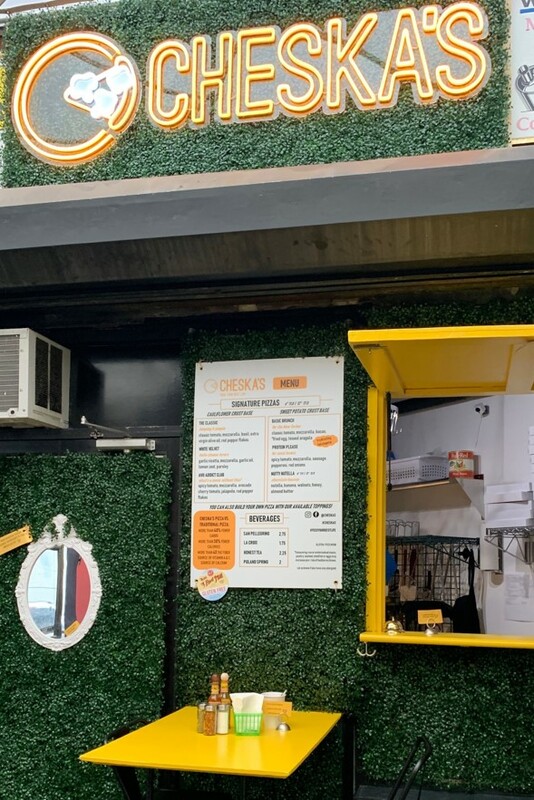 Come visit us at The Bowery Market! What's a newer & better pizza? 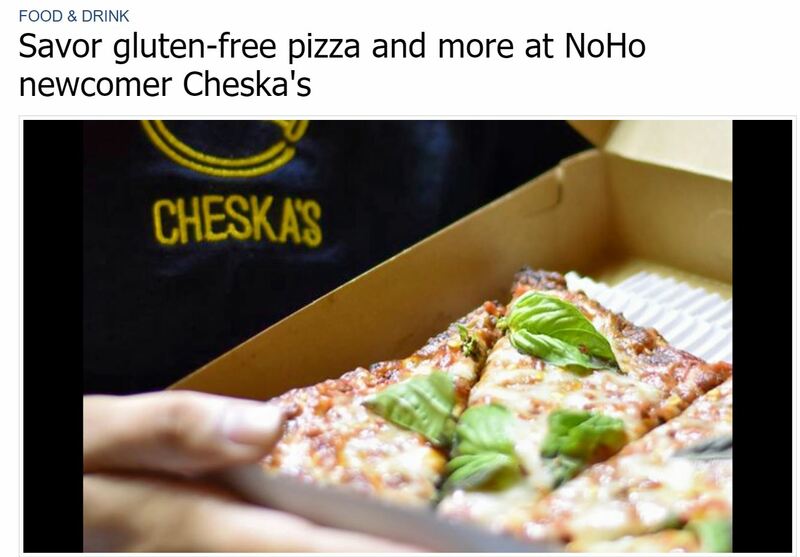 Cheska's pizza has a gluten-free and vegan crust. 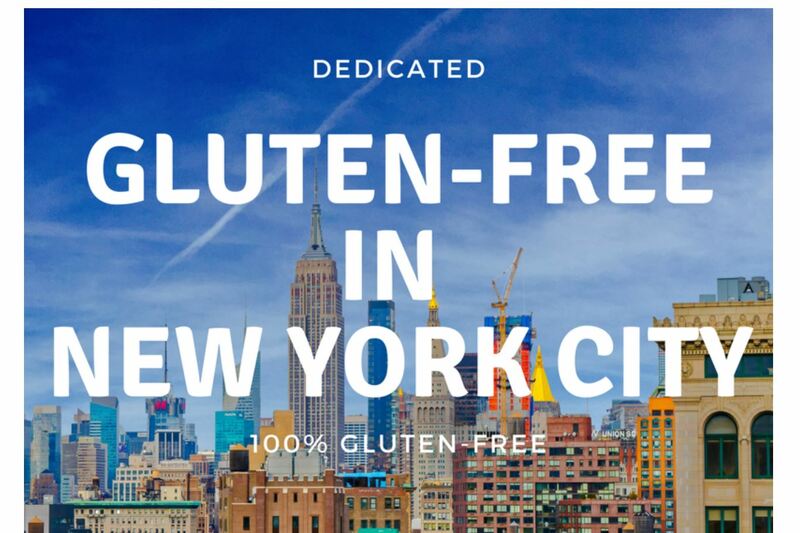 We're honored to be a part of Gluten Free Globetrotter's list of 100% Gluten Free NYC Restaurants! 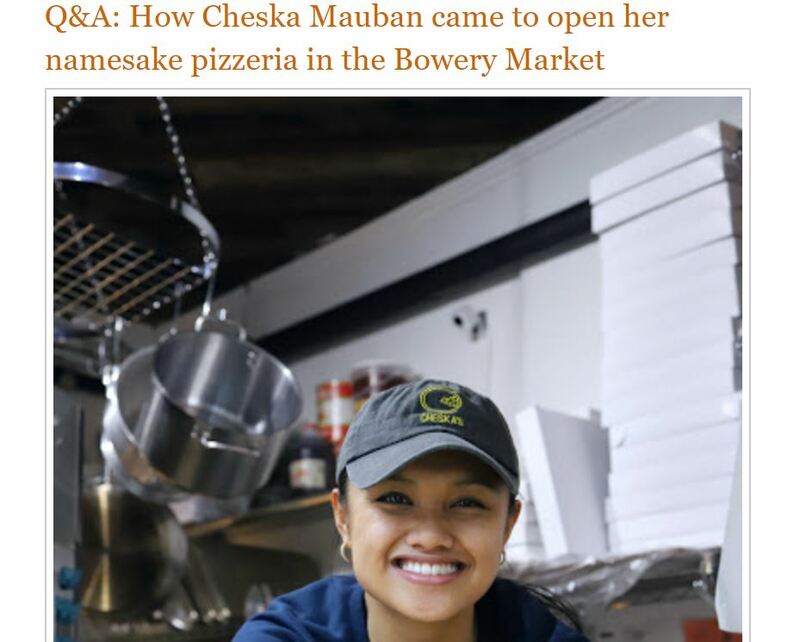 With 40% fewer carbs than traditional pizza, Cheska's pizza is a very LOW-carb option for those taking a little breather from a KETO diet. Also, stay tuned for monthly and seasonal specials that introduce new toppings. Who is this Cheska person any way? Our mission is to inspire healthier habits by creating enjoyable nutritious food. We want to show the world that eating healthy food can also taste really good! 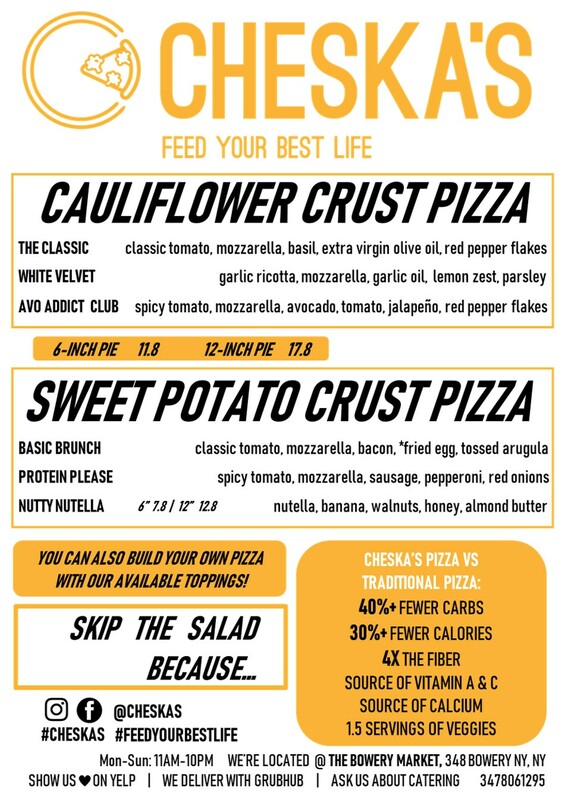 At Cheska's, we skip the salads, because our pizza has 1.5 servings of veggies and is packed with fiber and protein. So grab a friend and come by to our cozy, new location to say hello! Skip the wait and place your pick-up order now! Get notified about future events and promotions! Interested in being a part of Cheska's crew?